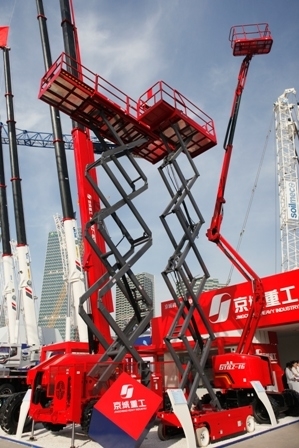 The Fifth Bauma China 2010 was held from 23rd until 26th November in Shanghai, China. 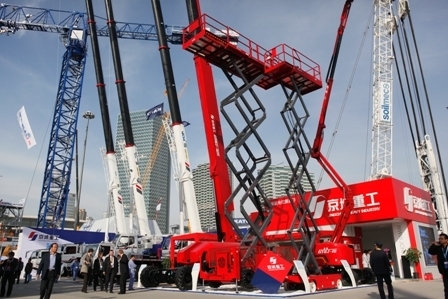 Beijing JingCheng Heavy Industry Co., Ltd fully exhibited its strength at the exhibition. On the exhibition JCHI also showed the latest and upgraded products, which depend on independent innovation, including the line of products of Truck Crane QY75H, All Terrain Crane QAY55E, Truck Crane QY55H, Self-propelled boom lift (40m), Articulating boom lift (16m), Rough-Terrain Scissor lift (13m), Self-propelled Scissor lift (10m).